Waves washing into the shore, splashing against the rocks. During an afternoon excursion north of the Daintree river yesterday we walked along Cow Bay beach – we were really there to look for some specific flowering plants but as usual my mind and my eyes were enjoying the whole scene. 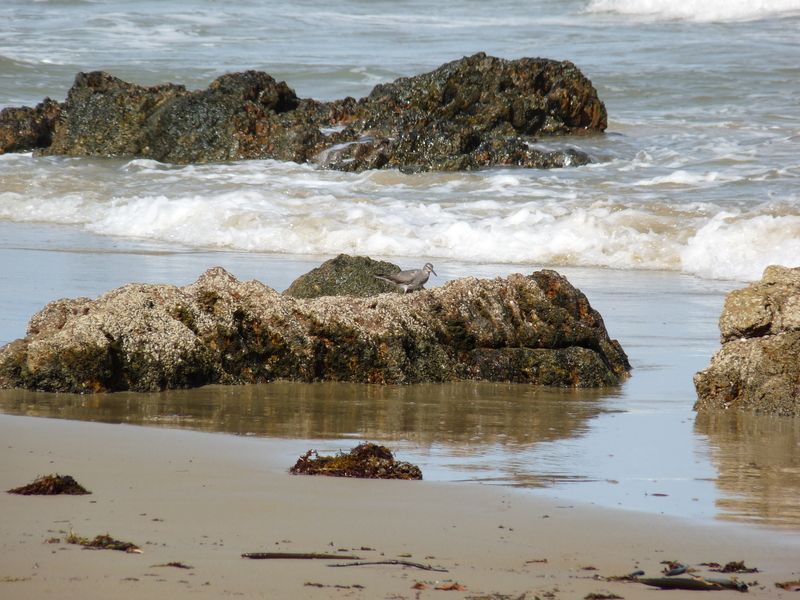 A solitary bird was feeding around the rocks that were being washed by waves……….my knowledge of waders is basic and I’m hoping someone will confirm my identification. When I was looking at the bird on the beach I thought it might be a Tattler and I’ve only ever previously identified Grey-tailed Tattler (Tringa brevipes). However, when I looked at the photos on the computer screen and studied my bird book I became convinced it was in fact a Wandering Tattler (Tringa incanus). We managed to avoid the ‘scattered showers’ yesterday and it was great fun walking along the beach and carefully climbing around the rocky headland to the next cove ………and we did find some beautiful flowers. This entry was posted in Bird Observations and tagged Beach walk. Bookmark the permalink. 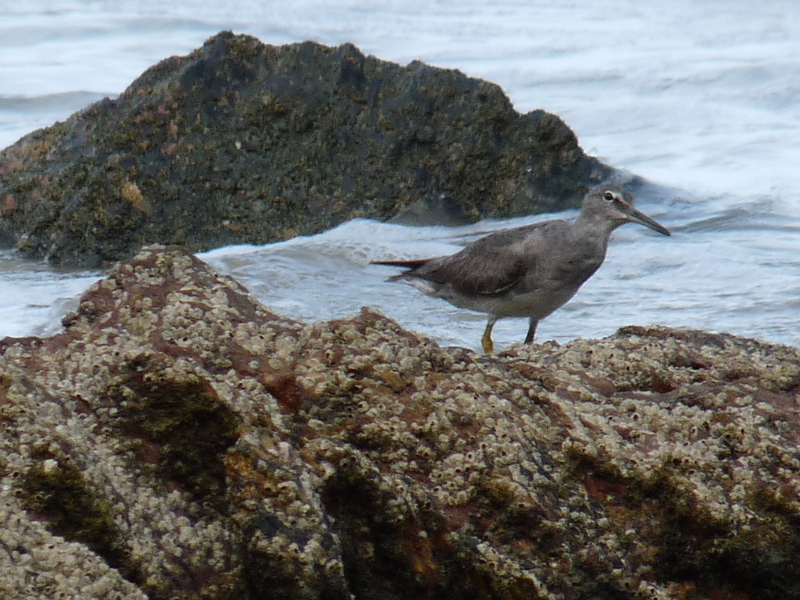 Hi Barbara, your beach walk sounds delightful and how nice to get a photo of a Wandering Tattler. (I checked with an expert and she agrees with the ID). Wandering Tattlers do prefer rocks. Hi Mick, thank you for your quick response as well as your confirmation of the ID. Its fun when you find an unexpected bird – and it was quite delightful to watch as it foraged about on the rocks. A very nice find with the Wandering Tattler! !